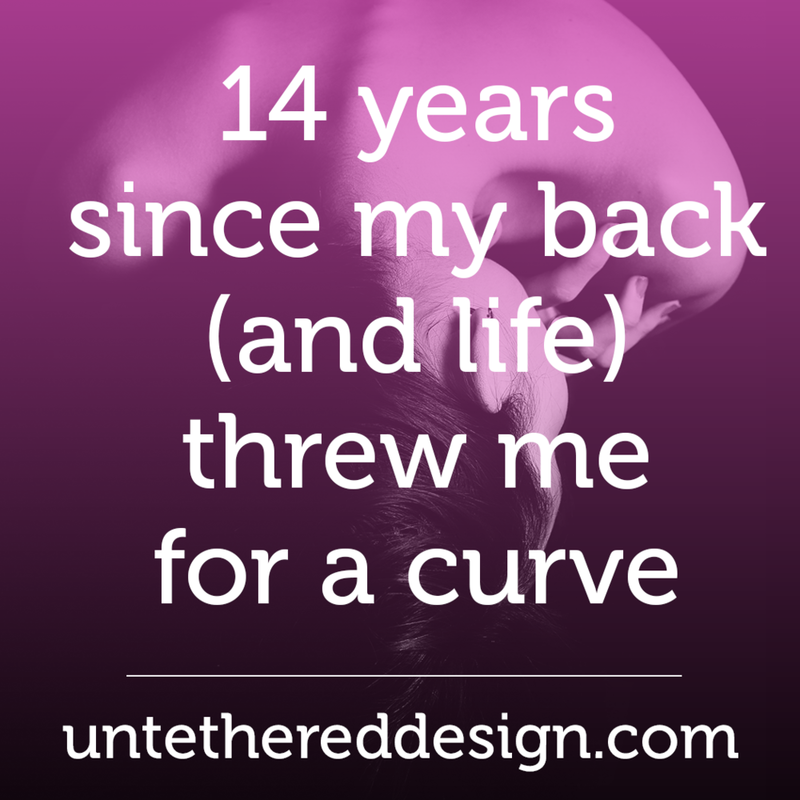 When I was 16 years old and a junior in high school, my family and I discovered that I had a very severe case of scoliosis. Idiopathic adolescent scoliosis to be exact, meaning, there was no known reason why I really had it. It was popular and could pop up in perfectly “normal” and healthy, active teenage girls – which I was the exact definition of. It was May of 2003 and I was preparing to spend some of the summer in Italy with my school’s Latin Club, about to enter my senior year of high school and planning for my hopeful acceptance into Ohio University, where I would study design. I was caught up in everything academically-possible that high school can offer someone, getting ready to finish my last year of dance in my hometown’s studio where I had been enrolled since I was 4 years old — and in the middle of the competitive years that I spent on the greatest horse that I will ever (to this day) swing a leg over, traveling to shows most weekends with my family. I certainly didn’t have time to be given a serious and life-threatening medical diagnosis, completely out of the blue. Yet, somehow, I suddenly found myself in a nightmare that I couldn’t quite wake up from. I was a perfectly healthy, “normal” and very active 16-year-old girl when I was given the scariest diagnosis of my life. I mean that literally one day I was running my high school newspaper, traveling to horse shows on the weekends, dancing two days a week in a studio, preparing my college scholarship essays and the next, I was staring at an x-ray of what was supposed to be my spine, shaped like the letter “S” – straight from the alphabet. Everything was a blur and all I could really understand (and not even that well) was that my curvature was far past the point of bracing or any other temporary method to make it better. I would undoubtedly be facing corrective surgery — and it would need to be soon. As humans, we all have “defining moments” in life, where we are called to stop, take a minute and overcome a big challenge set before us, to see what we are really made of. Mine just happened to be a medical one. Life can literally change in an instant — and it’s in that instant that we can either remain calm, figure out what is happening and properly deal with it, or we can run — go crazy, scream, cry and not have a clue what to do. It’s important to remember that when running a business, similar trials can happen and you have to know how to best (and most professionally) react, in order to keep things afloat. Whether it’s an issue with a client, project, or something financial, it’s best to stay positive, think smart and come up with the right plan of action. 2) Keep a good support system around you at all times. I am extremely lucky that I had such a strong team around me, keeping me going, running me to and from appointments, providing listening ears and shoulders to cry on when I needed them and so much more. From my family, to my friends, to my high school teachers and even random strangers who said a prayer for me, I was never alone in my medical journey. The same should be true in business — although many of us are solopreneurs and can multi-task very well — we truly can’t do it all by ourselves. We need people, whether family and friends who understand and respect what we do, or fellow entrepreneurs who we can share mastermind groups with, coaches, virtual assistants, copywriters, accountants or more — we have to have individuals who hold us accountable. We need those who will give us good advice and make us stretch, believe in ourselves, push past what we think are our current boundaries and really learn and grow. We need people in our corner, cheering us on and who not only tell us when we’re doing well, but also steer us in the right direction when we are not making good choices. 3) Always rally in the final quarter — we are all comeback kids. You know the game scenario — it’s the bottom of the ninth, score is tied and bases are loaded. It’s the final minute of the game and you’re only down by two. It’s the final turn and you and the horse next to you are running neck and neck. It’s in these intense moments, that champions are born. You can muster every ounce of energy, willpower and strength you have — and pull out the win. Or, you can back off, think that you can’t do it and let yourself get beat. I can still remember the morning of my surgery, right before the lights went out. I asked if I could just walk into the operating room, because I didn’t want to be wheeled in. I wasn’t helpless yet. It was that strong and positive mindset that I kept in not only those final moments before being cut open and my body was changed permanently and that I still have today, that really pushes me to keep moving forward. I know that I can face any and all adversity in my life and come out better on the other side. Every challenge I meet, whether in my personal or professional lives, only makes me a stronger person. After having a successful outcome from such an extreme surgery, I know that there is literally nothing I can’t do. You have to be tough-skinned and strong as an entrepreneur. You have to believe in yourself and your brand more than anyone — and be willing to work harder than anyone else to make it happen. Download my FREE guide - "Branding 101"
Sign up with your email address to receive a link to download my free resource "Branding 101: A quick and simple guide to what it is, what it isn't and why you need it" today! Please check your inbox now to confirm your email subscription and get access to the guide!